Why do you do this to me Mac?? I have zero will power- none what so ever. I'm at the stage now where I'm thinking (apart from picking up my essentials) do I really need any more make up? Well the answer to that is obviously I do, as after seeing this shadow in Gem's Instagram post I had to get it, as her make up is always stunning. 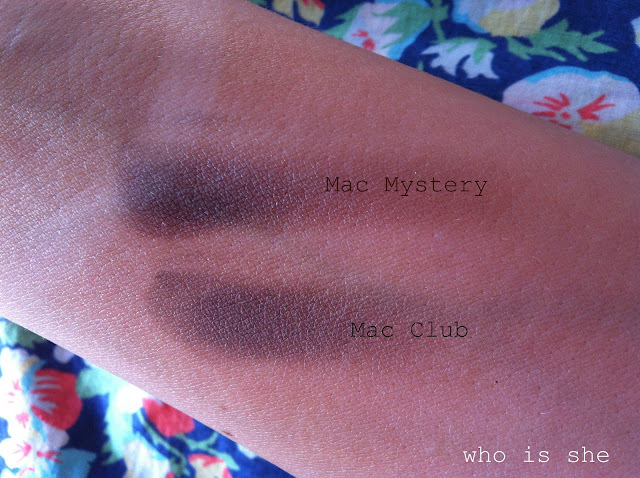 Oh and Mystery too... cause apparently Mystery looks fab in the crease with Club according to the MUA. 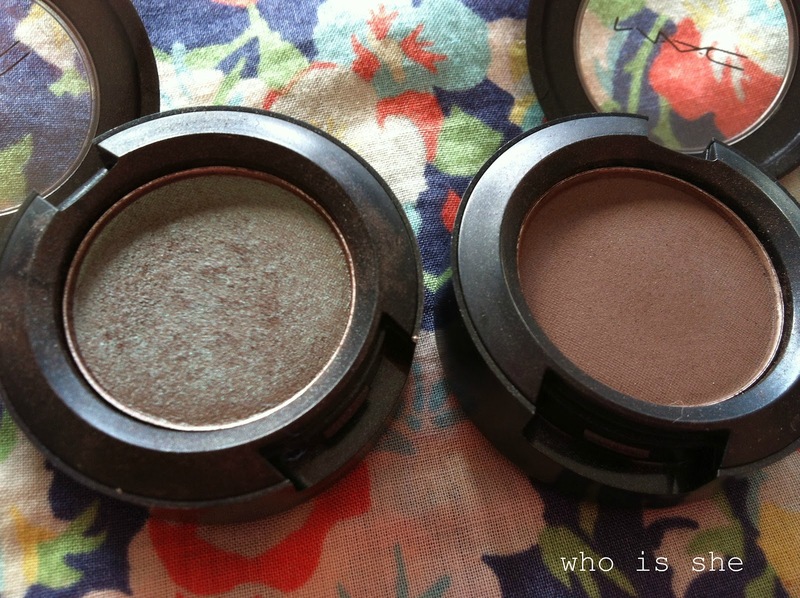 Club eyeshadow has already had a post on the blog thanks to the lovely Amy while I was on holiday, and I just needed it. Its one of those shades which looks different in the light- sometimes it looks brown, sometimes green, sometimes petrol coloured. Mac describes it as a red brown with a green pearl. Mystery on the other hand is a medium plum-brown, which I must warn you, needs you to put in a lot of work to get a decent colour pay off. Personally even though the formual of both these shadows are Satin, I'm finding Mystery much harder to work with than Club. I'm going to try it out with Haux and Blackberry and see if I can make it work for me. Do you wear Club? What shades do you wear with it? I don't have either of these but I share the MAC impulse buys. Debenhams are doing 10% off over easter online... all I needed to buy 3 new lipsticks. Oh theres another excuse for more MAC if you want to take it up! Yaaaaaay you got Club!!! I love it on the lid with Amber Lights in the crease or the other way around. I actually pretty much pair it with anything though and last night I did a green smokey eye for a night out and then put Club on the lower lashline and it just looked fab! !